I have to admit that I don’t think I’ve met ANYONE who doesn’t love pancakes. 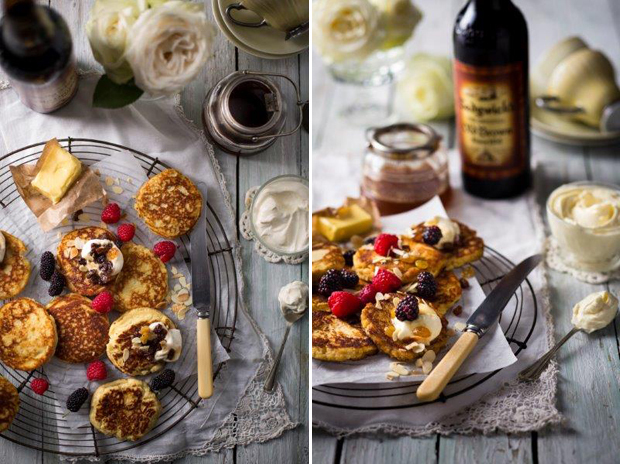 This recipe puts a slight twist on the traditional pancake by being GLUTEN FREE and including famous sherry – Sedgwick’s Original Old Brown! You may wondering how on earth could Sedgwick’s Original Old Brown could possibly work with a pancake?! Well, in this recipe, we share exactly how to make these mouth-watering pancakes! This recipe makes 4 – 6 crumpets. For more information on the famous Sedgwick’s Old Brown, visit them on Twitter or Facebook.